Exova PLC today launched a campaign promoting professional registration to their science staff based across the UK. Last year, Exova became one of the Science Council’s first Employer Champions, recognising their commitment to the professional development of their scientists and science technicians, through registration. Professional registration recognises skills, experience and knowledge gained in a professional setting, as well as demonstrating scientists’ commitment to continuing professional development (CPD) and standards of ethical practice. 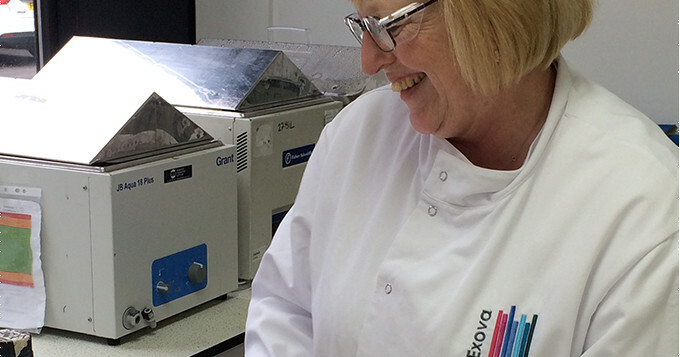 Exova have already supported several members of their laboratory team through the registration process and are now encouraging all scientific staff across the UK to become registered. Registration is a great way of ensuring our staff are able to develop their own skills and their own capabilities. This is why we’re very happy to support our staff through the process, providing time and support with any costs they may incur along the way, because as a company we get motivated staff, which is always a number one priority. The launch day at Exova’s Birmingham site was well attended, with staff attending a workshop on how to register. Staff also heard from Phil Coles, Director of Health Sciences Europe, who introduced the day. Roger Digby spoke about the importance for Exova of investment in and development of their staff to the business. And the Science Council team, along with Gareth from the Royal Society of Chemistry, was there to answer any questions. There will be another launch day on Monday 14 September at their Grimsby site. Get in touch to find out more about the benefits of professional registration for your staff.